Tayle Brink- 1st, Jada Maher-2nd, Sawer Gilbert-3rd, Kati Doll-4th. It was a toasty, hot weekend filled with loads of talented cowgirls and tough competition for the third annual TY TUFF Challenge held in Bowman, North Dakota, July 25-26. 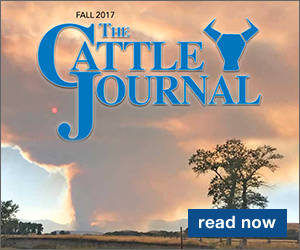 A new spin to The challenge this year was the addition of a breakaway jackpot roping with open and Jr High/High School divisions offered. A high point award valued at $1,000 was given to the contestant that gathered up the most points between the goat tying and breakaway competition over the two days. The Jr High/High School division had 19 ropers. These girls were paid out on a two head average time. Rickie Engesser from Spearfish, South Dakota roped two calves in 6.88 to claim that title. Announcer Rick Thompson of Dickinson, North Dakota, goat contractor John Hight, Dupree South Dakota, judges Chuck Christman, Lemmon, South Dakota, Lyle Gjermundson, Marshall, North Dakota, and the entire Ty Tuff team kept the action moving rapidly throughout both days. The goat tying on Sunday took just short of four hours to run 65 girls throughout two go-rounds. The 4D event is unique in the fact that it gives all levels of goat tying talent a chance to win hard cash and excellent prizes. During the break between go rounds, nine youngsters from ages 7-11 matched each other in a heated three round ground tying competition. The winner was Haiden Thompson from Lusk, Wyoming. Second place went to Kaycee Groves of Faith, South Dakota. Kenzie Homelvig from Bowman, North Dakota was third and Roman Fossum from Bowman, North Dakota was fourth. They all received Ty Tuff merchandise for their efforts. 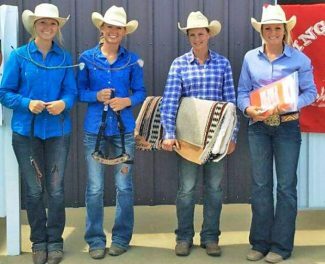 No one broke the six second barrier this year, but Lacy Tech from Fairfax, South Dakota came very close by posting the fastest time of the day with a 7.01.The Grann sisters from Sheyenne, North Dakota, took home a good portion of the pot by claiming the top two spots in the 1D division. Average winners of each 4D received a beaded headstall. Second received a beaded bronc halter. 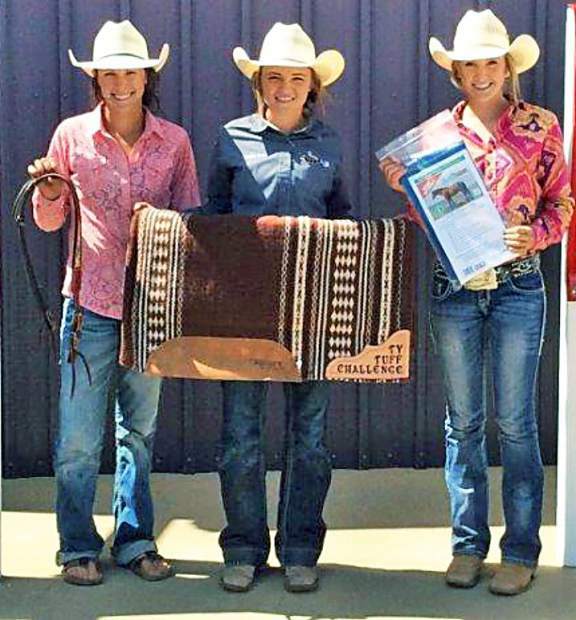 Third place winners received a saddle pad and fourth received shoofly leggings. Each division in both rounds paid four places and received equal payout. 1st- Cashae McGee-17.66 -buckle donated by Wayne and Susan Nelson, Buffalo. 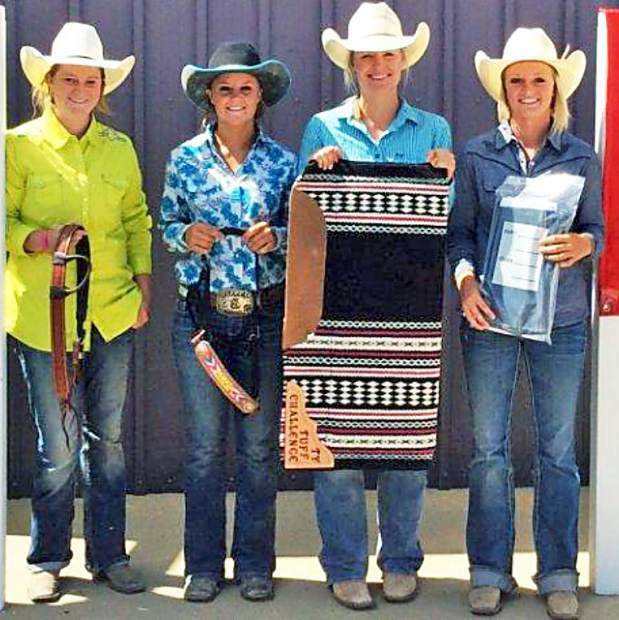 2nd-Sawyer Gilbert-18.25-hay bag donated by Double D Western Wear-Huron, South Dakota. 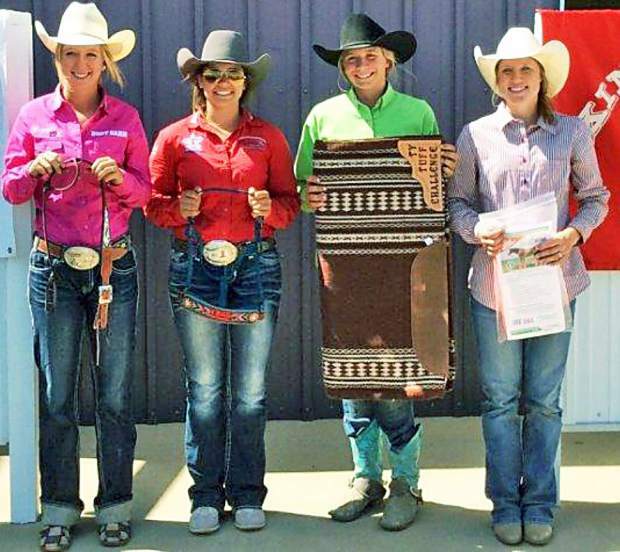 1st-Jacey Thompson-15.13- buckle donated by Ace in the Hole Contstruction, Buffalo. 2nd-Rickie Engesser-15.49- hay bag donated by Double D Western Wear, Huron. 1st- Lacy Grann-14.68- buckle donated by Pipestem Feeders, Fargo. 1st- Bobbi Grann-14.92- buckle donated by Brad Pfliger-Kidyup Goat Tying, Mandan. A beautiful purse was given to the oldest competitor. That was awarded to "super mom" Lacey Hewitt of Newell. A "target time" award was also given. For each round a random time was picked by Ty Tuff and who ever was closest to it won a leather bracelet. 1st round- Paige Bennett- Alexander, North Dakota. 2nd round- Alisha Dworshak-Dickinson, North Dakota. Two $500 scholarships were awarded this year. These were given to a graduating high school senior and a college graduate seeking a master or doctorate degree. 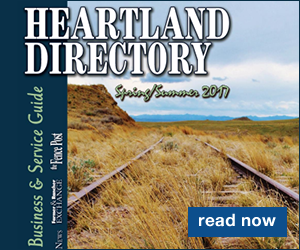 Winners this year were Shelby Schramm of Lancaster, Wisconsin and Kate Sharon of Dillon, Montana. After the dust settled at the end of the day, Rickie Engesser from Spearfish, emerged as the high point champion receiving a beautiful saddle stand, a beaded breast collar and $300 cash. Many thanks to our major sponsor- Kings Saddlery. Hats off to our other sponsors, timers, announcers, gate keepers, flaggers, secretary, calf pushers, goat runners and cowgirls who all helped make the third TY TUFF Challenge another great success!! For complete results, log on to http://www.tytuff.com and be sure to like TY TUFF on facebook to get instant updates. The TY TUFF team already has new and exciting ideas for next years event to be even bigger and better! Mark you calendars- JULY 23 and 24. Until then…ride hard and TY TUFF!